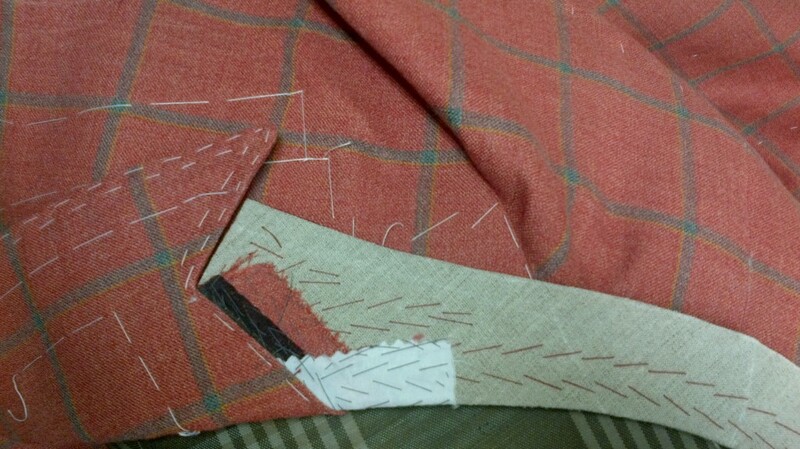 One of my favourite fabrics to work with is linen; its firm almost tacky texture makes it easy to manipulate and mould. Although it can be tricky at times, particularly when the weave is loose. 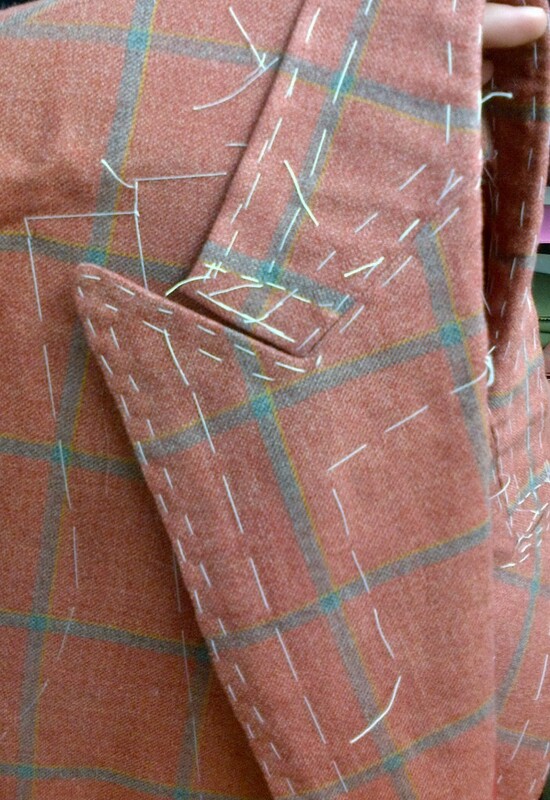 This particular jacket is a beautiful salmon coloured linen,with a blue and yellow cheque running through. After turning out the facings it is important to create a slight inward curve at the bottom. This ensures that the jacket remains nicely closed on the customer, giving a smarter and more tailored look. This slight curve should not be pressed flat at any point and should be carefully pressed on top of a Ham cushion to support the shape. This jacket has a peaked lapel, which is usually found on double breasted jackets and is quite formal in comparison to the more popular notch lapel. 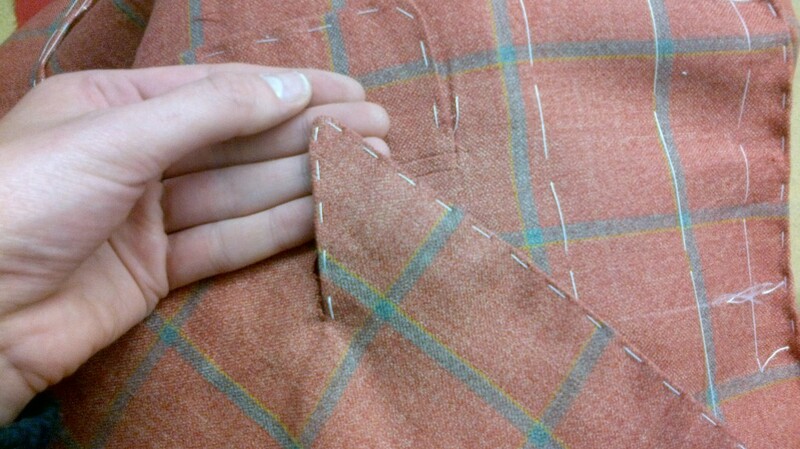 When cutting and stitching a peaked lapel, great care has to be taken in creating a point which is not too sharp nor too rounded. 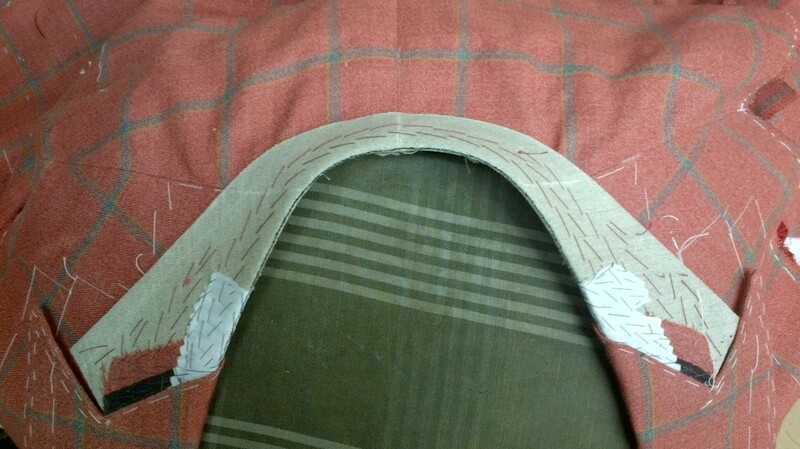 Shaping and cutting an under collar can be difficult. Proportion needs to be considered so that the width of the collar on the round is in accordance to the width and shape of the lapel. I use different rulers to mark the points, and then chalk everything out making sure that both sides are equal before I make the cut.